INSCYD’s performance analysis software was developed from a background of more than 150 scientific studies. The starting point of INSCYD can be traced to the mid 80’s, when the first scientists published studies on the regulation of energy metabolism in the muscles. These studies were validated in the late 80’s by performance tests in athletics, rowing and swimming. In the 90’s, the Belgian doctor Jan Olbrecht applied the concepts of modeling energy metabolism into his coaching routine with swimmers and triathletes. His role in Luc van Lierde’s double win at the 1996 and 1999 Ironman World Champion was crucial. Olbrecht also had an important influence on the Netherlands’ National Swimming Team success at the 1996 and 2000 Olympic Games (3 and 5 medals respectively). Thirty years down the road, at the 2016 Rio Olympics, Olbrecht’s swimmers won a total of 16 Olympic medals. In 2001 the first dynamic model of how energy metabolism is regulated in the muscles was validated at the European Space Agency. The analysis used a nuclear magnetic resonance spectroscopy, a technique that observes magnetic fields around atomic nuclei in order to understand the structure of organic compounds. In 2002, at the German Sport University of Cologne, a group of scientist lead by Sebastian Weber developed a protocol on the bike ergometer to detect the maximum glycolytic performance (VLamax, or maximum rate of lactate production). The method was validated in vivo during the tests, but also through the analysis of the key glycolytic enzyme PFK (phosphofructokinase), which was later traced using muscle biopsies. The following year the same test was performed in conjunction with a standard VO2max test on field. The goal this time was to measure the crossing point of lactate production and lactate clearance in the muscles. The junction of the two metrics would eventually be known as the maximum lactate steady-state power. The validation showed an average error of 2,2%, the same level of accuracy of lab tests performed with lab equipments (ergometer, metabolic cart …), but 4-5 times more accurate then any conventional lactate profile test. A new era of sport performance testing was born. The tests were confirmed by later studies on cyclists and runners performing at sub-maximum conditions. Because of both the convenience of the field tests and the accuracy of the results, the athletes who participated in this new methodology did not want to go back to traditional performance testing using lactate and/or VO2 measurement only. Based on the growing demand for these tests, in 2006 STAPS – by now one of the largest and most profitable coaching and testing businesses in Europe – was founded in Cologne. The STAPS method of testing and training programs were the forerunner of INSCYD’s technique. The method aroused the interest of sports professionals. The cycling “battleship” T-Mobile hired Sebastian Weber as their head of sport science and they secured the exclusive of STAPS services within the pro Tour. The new methodology was not only used for testing and designing training programs, but it was later also used for tactical decisions, pacing in time trials and also as a tool for talent scouting. From 2007 to 2011 the INSCYD method of testing was restricted to pro sports (primarily swimming and cycling). T-Mobile’s successors (Team Highroad, Team Columbia and Team HTC) would eventually become the most successful team in the history of cycling and Sebastian Weber one of the most successful coaches. Because it was so crucial to the success of HTC, the technology was kept secret by the team. Only in the last year of HTC (2011) did a small STAPS logos appear on the team’s website. Since then, INSCYD’s technology has been used by other pro cycling teams like Cannondale and Katusha, the French National Swimming Federation, and more. The method became popular within professional sports because of its accuracy (it’s up to 5 times more accurate in detecting anaerobic threshold than a normal lactate test), its predictive features (reading through the physiological needs fro any given race and athlete) and its practical application for highly specific training programs. The new methodology was recently used by more and more world-class athletes, including Peter Sagan (3 x UCI World Champion, road), Tony Martin (4 x World Championships, time trial), Andre Greipel (11 individual stages win at the Tour de France) and Jan Frodeno (Olympic gold medal at the 2008 Games in triathlon and 2 x Ironman World Champion). Only in 2017 INSCYD opened up to athletes and coaches of all levels for the first time in history. First model of how energy metabolism model is regulated in the muscle gets validated at the European Space Agency. A group of scientist lead by Sebastian Weber develop a lab test protocol to detect the maximum glycolytic capacity. The method gets verfified in vivo and with the analysis of the activity against PFK using muscle biopsies oft he M. vastus lateralis. Sebastian Weber and his group join forces with scientist from the university of Amsterdam. They validate an in vivo test method to detect the muscular creatine phosphate content, using HPLC methods on muscle biopsy samples. The calculation of the anaerobic threshold defined by matching flux rates of lactate production vs. lactate combustion gets validated at the german sport university cologne using gold standard maxumum lactate steady state tests. The average tolerance of detection is superior proves to be superior to all conventional methods with an average error as small as 2.2%. The STAPS human performance lab and coaching service is founded based on the new methods of performance assesment. STAPS would eventually become europes most successful and profitable coaching business for endurance sports in Europe. T-Mobile and its successors - Highroad / Columbia / HTC - used the INSCYD's predecessor for their training and testing purposes, eventually becoming the most successfull pro cycling team of all time. The INSCYD methodology has been used by more and more pros and teams in cycling and triathlon. 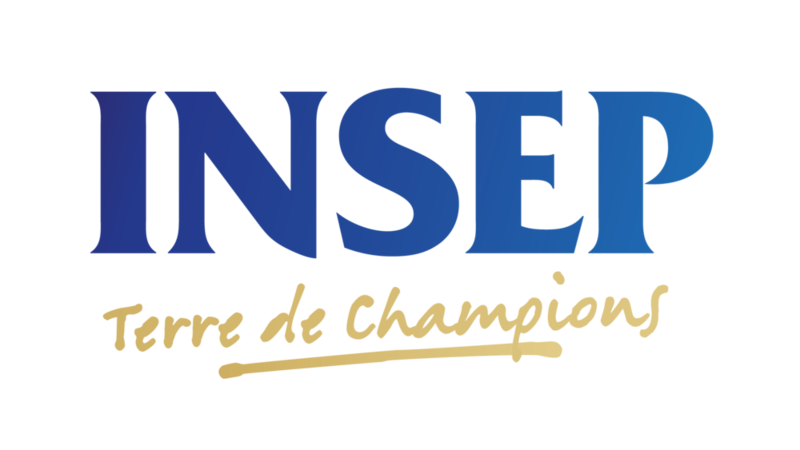 The french swimming federation and the french institute for high performance sports (INSEP), secure the services of INSCYD before the software is even existing. INSCYD becomes available to amateur athletes and coaches for the first time. The software quickly arouses interest in elite sports. Several national sporting federations, professional teams and universities onboard within the first months after being released.